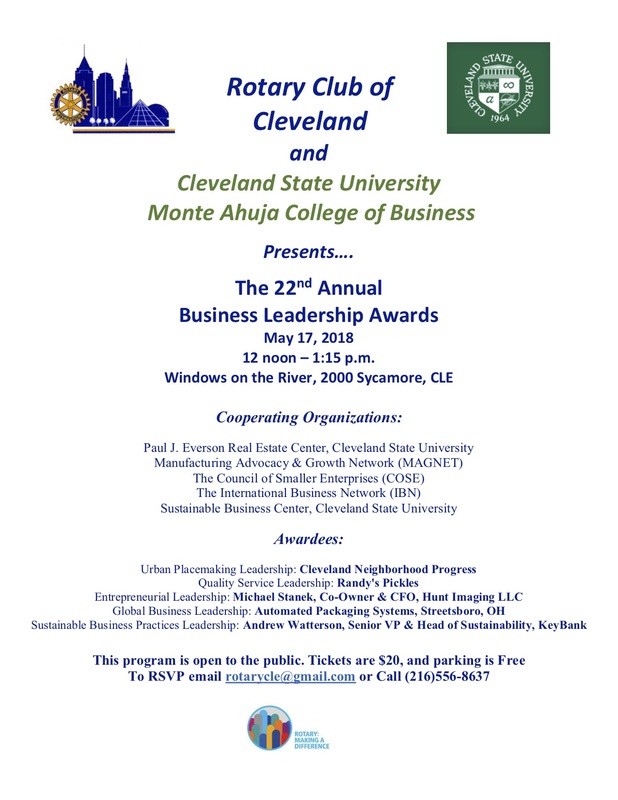 All guests are welcome to attend the 22nd Annual Business Leadership Awards. The fee is $20 for non Cleveland Rotarians, this includes a buffet lunch and is payable at the door. Please let the parking attendent know you are with Rotay and parking is free.